There was a large group of people who’d gathered from all over the world, from different countries. And had come to that one place in Jerusalem. There were religious leaders, there were people of great philosophical learning and they all heard the disciples of Jesus getting up and appearing to be drunk early in the morning, 9am in fact. That’s first thing. Then he went on, to quote from the prophet Joel. The prophet from our old testament and he applied this prophesy of Joel to what was happening right then. In fact, he applied it to what had happened to them that made them appear drunk. This was what he quoted: ‘And in the last days it shall be, God declares, that I will pour out my spirit on all flesh and your sons and your daughters shall prophesy and your young men shall see visions and your old men shall dream dreams. Even on my male servants and female servants in those days I will pour out my spirit and they shall prophesy. And I shall show wonders in the heavens above and signs on the earth below, blood and fire and vapour of smoke. The sun shall be turned to darkness and the moon to blood before the day of the Lord comes. The great and magnificent day’ Acts 2:14-20. But he’s quoting from Joel chapter 2:28-31. He’s talking about a moon turning to blood. Sometimes known as a blood moon. He’s saying that this prophesy that Joel announced was happening then. It was right there in the first century AD. This was an event that was literally sending an earthquake through the spiritual and religious world at the time. This was the Pentecostal outpouring of the Holy Spirit. This was something so earth shattering that he could only be described really by using celestial imagery. 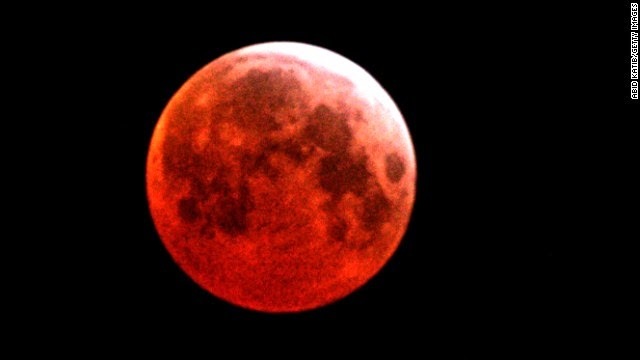 This was a blood moon event. Now, the blood moon and the darkened sun, they were showing that powers were being changed. The sun being the power that according to Genesis 1 is the authority or the power over the day, and the moon being the authority or power over the night. The sun and the moon were affected by this remarkable event. You could say, in a phrase that we would use today. Everything’s changed. Or we’re going back to square one. Now going back to square one is a strange phrase, what exactly does that mean? The best explanation that I’ve found is that going back to square one comes from the days of football commentary on the radio. When soccer was played and they commentated on the radio you couldn’t see what was happening. So the commentator actually had to describe exactly what was happening on the pitch. There’s a problem with that, when the football match is moving quickly. Now I recognise that often football matches move very slowly and are extremely boring but sometimes they move too quickly for you to describe. So the BBC came up with an ingenius plan which was to publish in the radio times a grid which represented the football pitch with squares on it, numbered. Numbered 1, 2, 3, 4. I don’t know how far up it went but I do know that number 1 was right back where the goal was. So if you’re launching an attack on the opposing team if everything goes awry you need to completely reset and start all over again because you’ve messed up your attack on the goal and now you’re going all the way back to the start again. When that happens, you go back to square one. There are other phrases like back to the drawing board, referring to a new start. Well in a similar way Joel was using an expression that meant ‘things were going to start again.’ But it was more than that, it was as if the football team in the illustration I was just using, went back to square one and changed the manager. That’s what we’re talking about. It’s that extreme. To do that you’ve got to talk about it in celestial imagery. You’ve got to use the sun and the moon and stars. You’ve got to have a great figurative expression to explain an all encompassing and all changing concrete event. It was the outpouring of the Spirit which did change the world. Because, this outpouring of the Spirit showed that the time of the Temple, the time of God’s presence being just for the people of physical Israel and those who opted in to being part of physical Israel through being apostatise was over. That time was over and the new dispensation had begun, the new era had begun.